We have separated the ordering process into schools, small & rual schools and individuals. 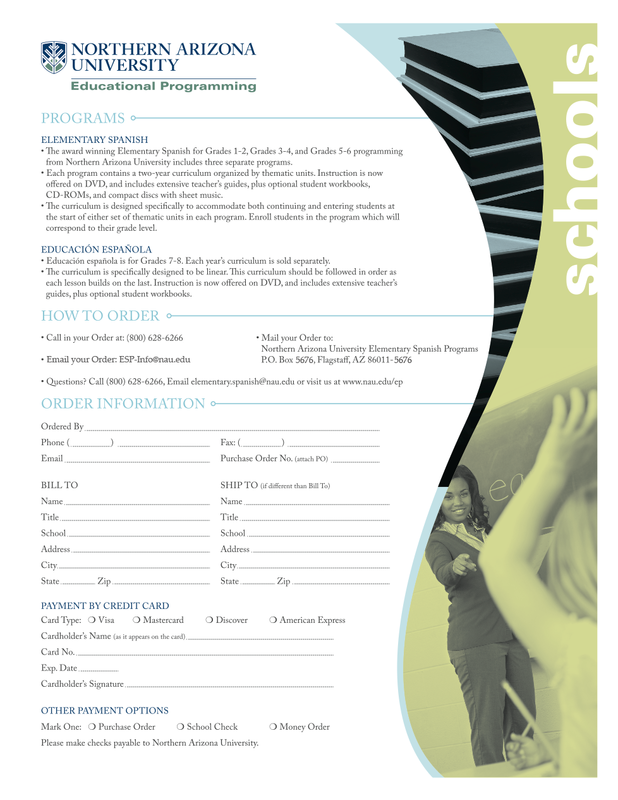 We recognize that schools often are using a purchase order and we strive to make that process as painless as possible. We offer both Educación Española 1 (Grade 7) and Educación Española 2 (Grade 8) for purchase during any time of the year. However, please note that every spring we offer a 5% discount on orders for the coming fall. Order forms must be received by June 30 to qualify for this discount and shipping takes place in late August.